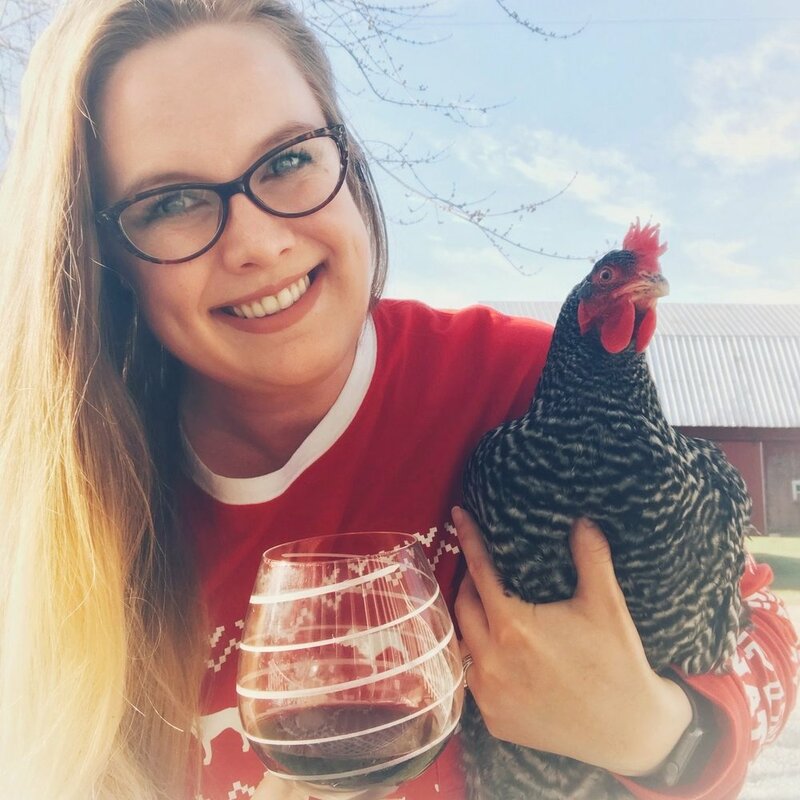 Sam and Bev chat about how they became crazy chicken ladies, why you just have to dive into the chicken life and learn as you go, and other animals they have or are planning for. While this episode isn't explicit by any means, they do discuss animal copulation, male goat parts, and use a tiny bit of strong language to describe people who make unsolicited mean comments on the internet. Mildly pearl clutching by great-grandma's standards, and might require uncomfortable conversations with tiny humans should you listen with them. Some of the the links in the show notes are affiliate links from which we may make a small commission should you use them to make a purchase. Read our full disclosure statement here. While using a link won't affect your purchase in any way, you could look at it as though you've bought us a drink. Cheers! Sometimes we drink coffee, but most of the time it's an adult beverage. We promise to bring you weekly farm stories, education, and some slightly inappropriate fun. Grab your favorite drink and laugh along with us every Friday here, or your favorite podcast player. Sam Bolton is the accidental hobby farmer at Chickens & Wine. Her beverage of choice is, duh, wine, and she has 60 chickens and counting, plus goats, ducks, and a mini pig. She hosts #chickenselfiesunday over on IG. Bev Ross is a new homesteader that moved her family from the desert suburbs of Phoenix to rural Ohio and blogs at Ross Roost. Her beverage of choice is beer, and she has 11 chickens and counting, plus goats, and is trying to be really good this year so Santa will bring her a donkey. She hosts the Homestead Skills Book Club on Facebook.